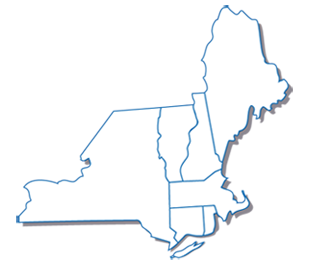 We are organized around the principle of service to our seven member states: Connecticut, Maine, Massachusetts, New Hampshire, New York, Rhode Island, and Vermont. In 2015, the Commission developed a list of Water Program Priorities. This list represents issues that are of common concern to all of NEIWPCC’s member states and that we expect to be engaged in for the coming years. The list includes 19 topics, 7 of which have been identified as the highest priorities. Once a year, NEIWPCC develops for each of our member states a summary that provides short descriptions of some of the many ways in which we are serving and assisting a state. Though far from comprehensive, the summaries capture the diversity of our services to each state and the positive results generated. The summaries illustrate the many benefits each state gleans from the modest dues paid to be a part of the Commission. To view the most recent state summaries, please use the links below.